The webOS accessory ecosystem may be nothing like what our friends over at iMore and Android Central have to play with, but we're used to making the best with what we've got available. In the spirit of that, lets' take a look at the best gadgets you can pair up with your webOS smartphone or tablet to get the most out of those exercises you know you're working on for Mobile Nations Fitness Month. Sometimes you just need that gear to give a kick in the rear to get the ole rear into gear. There are three things that make exercise easier: a companion, a reward, and music. While we and your webOS device can't help you with the first one, and getting in healthier shape and the chance at winning a webOS Nation Store gift card should be enough of a reward, music, well we've got some suggestions on that front. There are two approaches to the music front: in your own head and in everybody's heads. Because, let's face it, the best workout music is the kind that sticks in your head - ha! That one song is stuck in your head now isn't it?. When it comes to headphones for workouts, the only real choice is to go for Bluetooth. There are a number of the wireless options available, including our favorites like the Motorola MOTOROKR S305 on-ear headphones and the MOTOROKR S10HD in-ear headphones. Both do a fine job of staying on your head during intense workouts, but if you're going for something a little less extreme and want the best sound quality Bluetooth can offer, you can't beat the Plantronics BackBeat 903 headset. If you don't want to be bothered with headphones, or just want everybody to hear your music, there's really only one option: The Jawbone Jambox. This surprisingly compact little Bluetooth speaker sounds absolutely phenomenal and puts out a stunningly huge amount of sound. It's a little pricey, sure, but far and away the best portable Bluetooth speaker on the market, in our less than humble opinion. Let's say you've decided on Bluetooth headphones, because you're going to be running, and not on a treadmill. So you've got to bring your phone with you, and sure you could drop it in your running short pocke… what, your running shorts don't have pockets? Oh, right, they're running shorts. 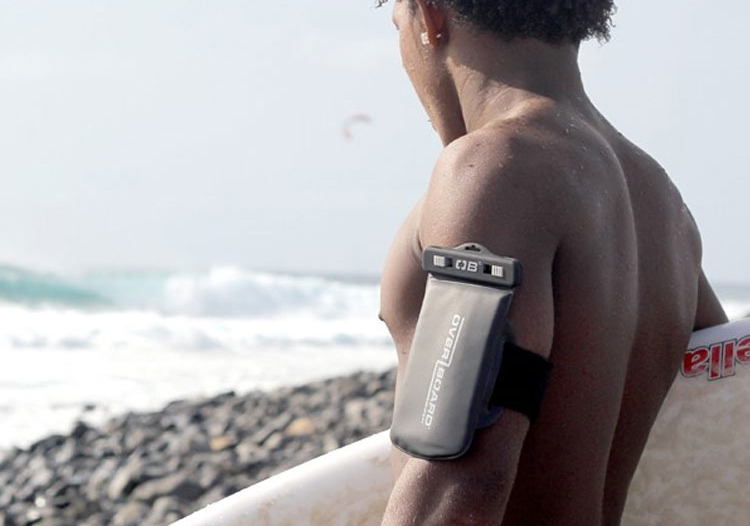 So you need a compatible armband for your Pre, Pixi, or Veer. That's fine - those exist! The webOS Nation Store offers two, in fact. If you're a user of a Krusell case (these days available only for the Pre and Pre Plus, we're afraid), they make an excellent armband that you can just dock your cased phone to and get moving without any worry. If you don't have a Krusell case or use a phone other than a Pre or Pre Plus, there's still hope. The OverBoard Waterproof Pro-Sport Arm Pack is exactly what the name implies - a waterproof package in which to slot your smartphone, strap to your arm, and take off running or kayaking or whatever it is you're doing - elements be damned. Of course, by virtue of being waterproof you won't be accessing the controls or running wires (see our case for Bluetooth headphones above), and the OverBoard Arm Pack also is rather opaque, so you won't be looking at your phone much either. But… your phone will be 100% protected from whatever Mother Nature - or your own body - decides to throw at it. If you're less the running-with-an-armband type and more apt to bust out the old two-wheeler for a quick cycle around town or down and back up the local bike path, then the Arkon Handlebar Mount was made for you. The mount includes a water resistant pouch with foam inserts to help size it for your phone and can mount of bicycle handlebars ranging from 25.4mm in diameter up to 33mm. You can also attach it to your hang glider, if that's your thing. As an added bonus - the front of the smartphone container is transparent and touch transmissive, so you can still use your webOS smartphone while it's in the case. When it comes to tech-assisted workouts, those are our favorites here at webOS Nation. We know there's more out there, and your opinions are sure to differ from ours, so let's hear it - what tech do *you* love to use for your workouts?